A conundrum has surfaced between the sticks for Fulham during in pre-season so far, the problem being whether to favour David Button or Marcus Bettinelli. Button has seemed a little shaky of late and has also been painfully unconvincing at the best of times, whereas many Fulham fans will argue that ‘Betts’ is also not up to a suitable standard himself, although the latter has the edge in claiming supremacy. 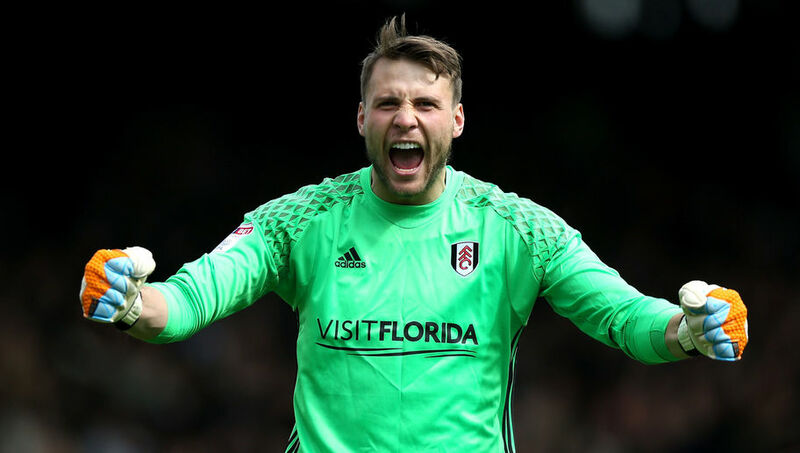 Being 25, Bettinelli still has the capacity to improve his game, and a solid, undisputed campaign next term could be beneficial to Fulham’s promotion chances next term. Coming off the back of a triumphant 2017 UEFA European U19 Championship for England, Ryan Sessegnon – who initially broke onto the professional scene at the beginning of last season – should be taken much more seriously in the coming campaign. The 17-year-old is a potent attacker and a composed defender, making him the perfect candidate to fill a supposed left wing-back role, a position which was fruitful last term, seeing him net a record seven goals along with a remarkable five assists. Being able to read the game as well as Sess’ does usually takes years of experience, but being a teenager with bags of gift and talent, next season will only make the youngster stronger, as Premier League suitors watch on in awe. Tim Ream – an American international defender – came on leaps and bounds last term, winning over the Fulham faithful after a tough start at the club to which he joined in 2015. Ream has grown in stature, emerging as a fairly level head at the back, whilst offering invaluable cover for the keeper when it matters the most. Now that Chelsea’s Tomas Kalas has returned to his parent club after a successful season at Craven Cottage last term, Ream, 29, will almost certainly claim one of the positions in Fulham’s spine in the defence. Starting the 2016-17 Championship campaign, Michael Madl, despite being fairly slight in stature for a centre-half, is an imposing figure for any striker to contend with. The final starting slot in the centre of the defence is also open for Marcelo Djalo and Ragnar Sigurdsson to claim, however Madl is a player who possesses sturdier tendencies in his game as apposed to the other two mentioned. The defender, also 29, is having a fairly mixed pre-season with Fulham thus far, after picking up a muscle injury he has subsequently had to rest, his inclusion in Slav’s squad has been limited, although with the severity being fairly innocuous he is expected to grab some vital game time in order to push for a starting place. Ryan Fredericks offers a true attacking outlet for Fulham from the back, with his searing pace and directness on the channels proving to be an opposition’s nightmare. The crowd stands to attention whenever he gets himself on the ball and has become a firm fan favourite, edging Dennis Odoi for the majority of the previous term on the right-hand side of the defensive rank. Fredericks, 24, will be close to hitting his prime within the next few seasons, so Fulham will need to utilise his defensive and offensive talents as much as possible next season as he continues to develop. An acquisition this summer, Ibrahima Cisse introduced himself to Fulham in some style after notching a goal against Queens Park Ranger in a behind closed doors friendly at Motspur Park with a pile-driver which wracked off the crossbar – with thanks to a fortuitous bit of contact from the keeper’s leg, of course. The former Belgium U21 midfielder, 23, has pedigree behind him and is regarded as a highly adaptable, staunch character out on the turf – one which could emulate the likes of fellow Belgian and former Whites’ midfielder Mousa Dembele of Tottenham Hotspur. Kevin McDonald will pose healthy competition for the ex-Standard Liege player, but he’ll add an air of fresh enthusiasm in the middle, as well as vigour on the break. With the right to roam more freely, Stefan Johansen is a player which has the attribute to close the opposition down tirelessly and the awareness to hit the opponents on the counter, aiding the more advanced members of the team effortlessly. The Norwegian international finished joint top-scorer for Fulham last season with 13 goals and also handed his teammates eight assists – a record which will only grow as he makes the position his own. Johansen arrived at the Cottage last summer from Celtic in what was a £5m deal – the 26-year-old repaid his current club last term and will certainly press on to greater heights in the upcoming season. Playing just behind the striker as the number 10 as well as on the right, Tom Cairney stepped up to the plate last season and became a hero down by the river; the poster boy to all that went right for Fulham as they climbed the table towards the top six. Matching Johansen’s 13 strikes, the 26-year-old also supplied 12 assists, making him the man with the best offensive return for the Whites last term. Now being regarded as a captain elect, the Scotland international has been admired by the likes of Newcastle United, but after signing a renewed contract which would keep him at the club until 2021, Fulham’s supporters can gleefully look forward to yet more excitement from the attacker for the foreseeable future. A wing wizard, Floyd Ayite causes problems whilst attacking and frees up space for his squad to work with due to his piercing runs into the box. Being predominantly right-footed, the 28-year-old winger has the ability to cut in from wide to unleash rasping efforts goal-bound, as well as the eye to tee-up the striker with incisive crosses into the danger area. The Frenchman is a joy to watch when bearing down on the target, and will undoubtedly maintain his place on the left of the front three. Confidence is something which Neeskens Kebano certainly does not lack and the Congo DR international will only become even more imposing as he further adapts to the Championship. The former Paris Saint-Germain player is an attacker which can be rotated in virtually every position in the offensive third, but is just as effective on the flanks as he is through the centre. Tallying seven goals in his first season for Fulham, Kebano is yet another valid scoring option and has the natural ability to leave full-backs flat on their backsides when marauding his way into the penalty area from the wing. Now that Chris Martin has returned to Derby County after his loan spell and Gohi Cyriac’s return to the Jupiler Pro League’s KV Oostende after half a season on a temporary basis, Sone Aluko – who comfortably deputised the number 10 role last season – will most likely front the attack, for now at least. The forward is a supplier as much as he is a finisher, and has the quality to stretch an opposing back-line in order to split past them to latch onto a through-ball – Fulham are indeed in the market for a proven striker, although Aluko does have the right to compete. Nine goals and 12 assists is what the 28-year-old chalked last season, so now, presumably being at the head of the formation for the time-being, perhaps Aluko will bag a few more goals next term to bolster Fulham’s hopes of a promotion spot.